Insurance for commercial enterprises is an invaluable thing and is many times required depending on the business of the enterprise. Portland commercial insurance from JMI Insurance provides the coverage that your business needs. This includes things like landlord insurance which covers tenant occupied buildings; also know as rental properties. Portland commercial insurance will provide coverage apartment buildings or other complex where rental housing is available. Under these guidelines, policies may include fire, flood, earthquake or other damages. This extends out to the countryside with things like livestock insurance for commercial farming enterprises for issues like accident, illness or disease. Portland Commercial Insurance covers a wide variety of business and commercial enterprises, including industrial business. What it exists to to do, depending on the coverage policy issued is to protect current value, essentially insuring actual losses. 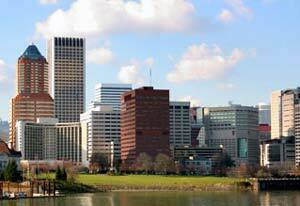 JMI Insurance can help your company determine the proper Portland commercial insurance structure for your situations. This may include protection from theft, property damage, liability, employee injury or events which cause business interruption. While bundling different types of coverage can save money, it’s also important to not take on more coverage than you need or coverage that is unnecessary for your specific situation. Contact JMI today to determine the best course of action. General Liability – Basic protection against most liability claims, error, injury negligence or property damages. Key Person Insurance – For employees whose work is so important and essential to the company that any loss due to injury or death would cause significant damage to a company. Hazards Coverages – Fire, Flood, Earthquake and other catastrophic damage coverages.